Mac OS X has a desktop app store, unlike Windows. Get a new Mac and you may be excited to open the Mac App Store and install all your favorite software — but you won’t find all your favorite apps in the store. 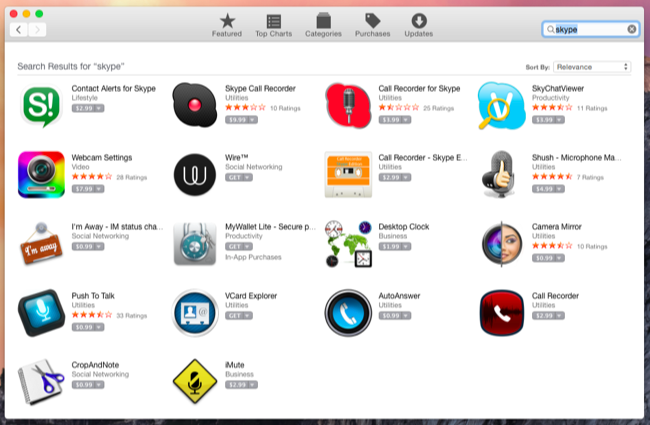 The Mac App Store isn’t like the App Store on Apple’s iPhones and iPads. You’ve always been able to install applications from outside the store, and many developers don’t include their apps in the store. Apple’s iOS has had an App Store built into it from the moment it first allowed third-party applications back in iOS 2, released in 2008. But the Mac App Store debuted in 2011 as part of Mac OS X 10.6.6. The desktop version of Mac OS X debuted in 2001, so OS X had ten years to develop without a centralized app store. All those OS X apps are still around. 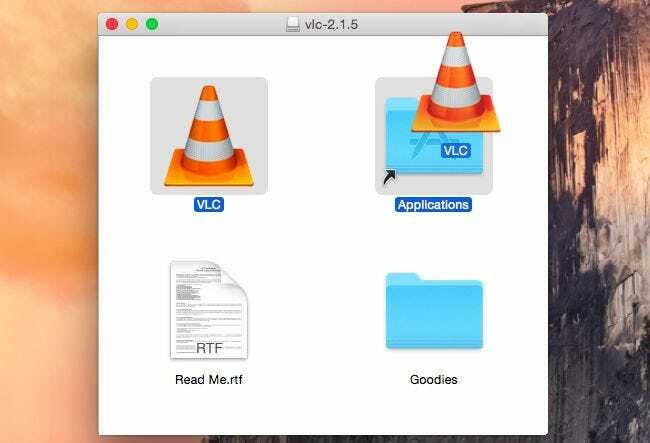 Mac users have always gotten apps directly from the developers’ websites — or on software installation discs long ago — and that continues. The Mac App Store isn’t the only way to get apps. 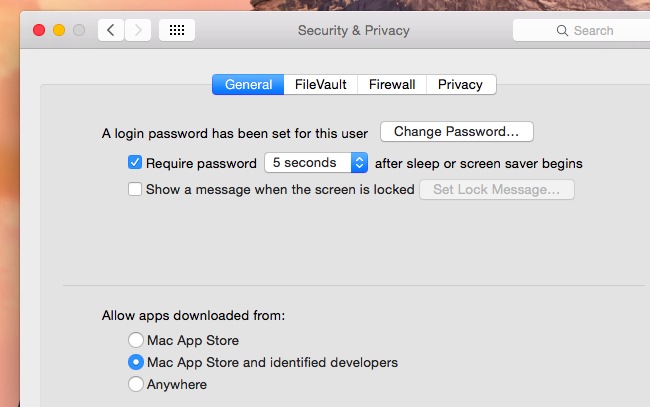 By default, Macs are configured to allow apps either from the app store or apps that have been signed by an approved developer. In fact, Apple’s choices around the Mac App Store have discouraged many developers from putting their apps on the Mac App Store. It’s not just that the Mac App Store is incomplete — it has restrictions that don’t match what a desktop operating system like Mac OS X is all about. Many popular Mac apps just wouldn’t be allowed into the app store. The main reason many apps aren’t available on the Mac App Store is the “sandboxing” requirement. As on Apple’s iOS, apps listed in the Mac App Store must run in a restricted sandbox environment. They have only a tiny little container they have access to, and they can’t communicate with other applications. They can’t access all the files on your computer — if they want to access a file, they have to pop open an Open dialog and you have to choose that specific file. There are many, many other limitations like these. But it’s not just about the individual limitations. The “App Sandbox” is something that was added to Mac OS X years after it was created, and it’s not suitable for every type of program you might run on your computer. It’s especially not suitable for the kinds of powerful applications you need to run on a desktop operating system like a Mac OS X. Sure, apps like Twitter and Evernote can fit on the Mac App Store just fine. But more powerful applications that need access to more of your Mac have to be distributed from outside the app store. Money is another factor. If an app is in the app store, its developers have to pay a cut to Apple when you purchase it. If an app is sold outside the app store, you can buy it directly from those developers, and they don’t have to give those developers a cut. For example, while Blizzard offers Mac versions of its popular games, they’re downloaded through the Battle.net app and not the Mac App Store. Blizzard doesn’t have to pay Apple a cut. Developers also can’t offer demos or paid upgrades through the Mac App Store, nor can they communicate directly with their customers. The issues have been catalogued by Mac developers in many posts like Mac App Store: The Subtle Exodus. It’s possible to install apps from outside the Mac App Store, and you’ll need to. Whether you want Chrome, Firefox, Adobe’s Flash plug-in, Microsoft Office, Photoshop, Skype, Dropbox, VLC, Steam, a virtual machine program for running Windows software, or many, many other applications — you’ll need to get them from outside the Mac App Store. You do this in much the same way you can on Windows — performing web searches for programs, reading lists of the best programs, and looking at reviews. The Mac App Store is a convenient place to get simple, basic applications — but more powerful apps will have to be installed from outside it. Just download the applications and install them from the .DMG files they’re usually distributed in. It’s old-school, but it works. It’s sad that the Mac App Store hasn’t become a single trustworthy place for the software you’d want to run, and that more and more developers are abandoning it. It’s still a good place for very simple applications, and is a safe way to buy a simple utility you might want. But you can’t rely on it like you can on your iPhone or iPad.